Western Digital, and its subsidiary SanDisk, have had some of the best performing planar TLC SATA SSD components in recent memory, so the bar is high for a new generation of SSDs. This review covers two drives which have the same design but differ in name only: the SanDisk Ultra 3D 1TB, and the Western Digital WD Blue 3D 1TB. Each drive will be targeted to the customer bases that appeal to each brand name. The new drives don't change the basic formula that has worked in the past: the controller is the same Marvell 88SS1074 used in the original WD Blue SSD, and SanDisk is still developing the firmware in-house. 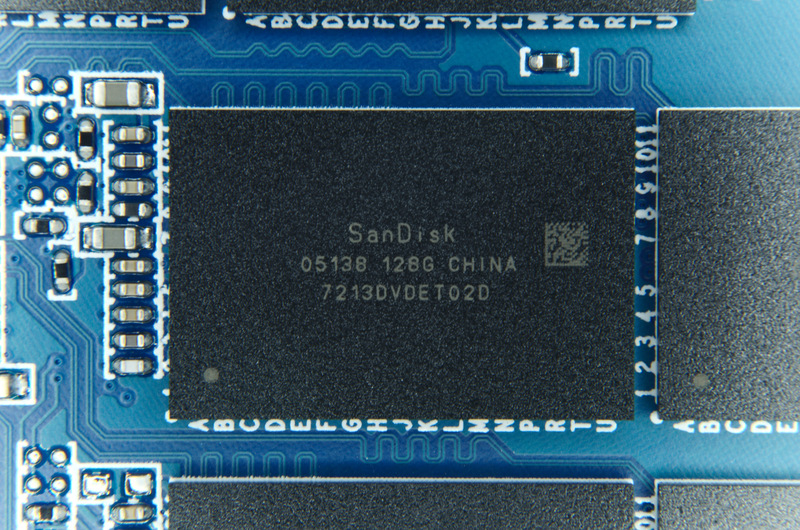 SanDisk was a relatively early adopter of TLC NAND flash for consumer SSDs, starting with the Ultra II introduced in 2014. Prior to adopting 3D NAND, they had already moved to using TLC for their mainstream client drives, not just for entry level products. The original WD Blue SSD from last year used 15nm TLC, as did their flagship business/OEM SanDisk X400 client SSD. 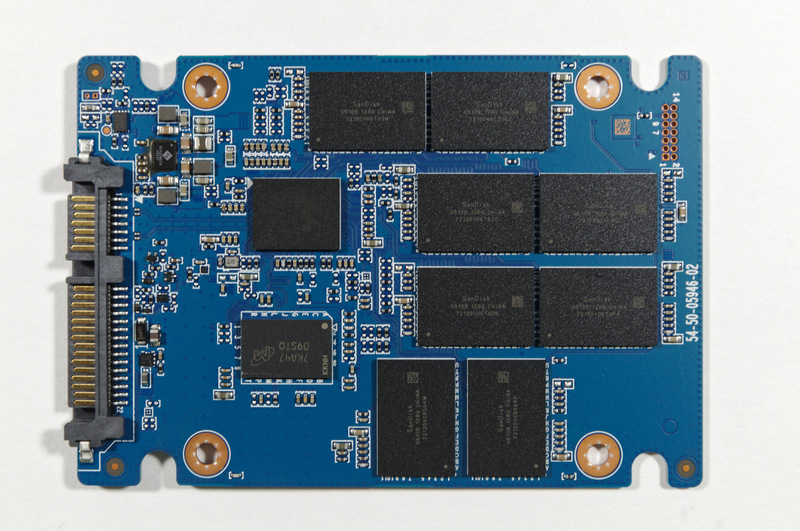 SanDisk's 3D NAND, now in its third generation, is finally ready for mainstream SSDs. The NAND is a BiCS3 3D design, which uses a 64-layer charge trap flash design and is shared with Toshiba's 3D NAND. 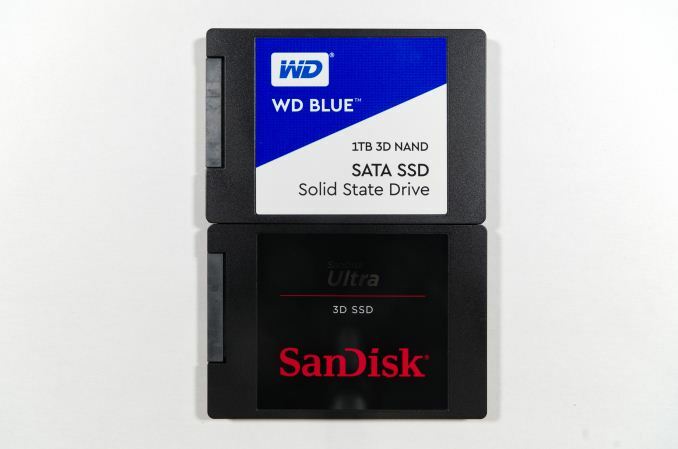 Western Digital has launched this 3D NAND in the retail market with a SATA drive that is being sold under both their SanDisk and WD brands. Like almost all current consumer SSDs with 3D NAND, the new SanDisk Ultra 3D and WD Blue 3D NAND SSD uses 3D TLC NAND flash. Toshiba's version of this 3D NAND debuted in the Toshiba XG5 M.2 NVMe SSD for the OEM market, a drive we were quite impressed by. The SATA interface will limit how much the drives in this review can improve performance over their planar TLC predecessors, but there's still some room for improvement, especially around power consumption. The performance and power specifications of the new WD/SanDisk drives are typical for a mainstream or high-end SATA SSD. Endurance ratings are good at slightly more than 0.3 drive writes per day, except for the 2TB model that is rated for just over 0.2 DWPD over the course of the three-year warranty. For this review, Western Digital provided a 1TB WD Blue 3D NAND and a 1TB SanDisk Ultra 3D. Since these drives only differ cosmetically, their benchmark results should theoretically be the same. Any variations are due either to variability in our own tests, or to manufacturing variability that would be similar for two samples of the same model. We requested different capacities, which may come at a later date, although companies like to show off their best hand first - a 1TB drive is in peak of performance while not being as power hungry as a 2TB drive. It would still be interesting to get the other drives in to test, however. The SanDisk X400, a slightly earlier drive using the same planar TLC and Marvell controller as the original WD Blue, but with different firmware and less overprovisioning. The Crucial MX300, Crucial BX300 and Intel 545s, representing all three variants of Intel/Micron 3D NAND that have hit the market so far. The MX300 uses 32L 3D TLC and the Marvell 88SS1074 and is the closest competitor to the new WD/SanDisk drives. The Samsung 850 PRO and 850 EVO, using Samsung 3D NAND and Samsung controllers. The Patriot Ignite 960GB, OCZ VX500 and OCZ Trion 150 (now branded TR150), all using 15nm planar NAND from Toshiba and thus comparable to the previous generation WD/SanDisk drives, but with controllers from Phison and Toshiba instead of Marvell. The demand is coming from other areas not PCs and that's only half of it. The other is that they have kept supply low so not to get into the same over supply issue that they have had before.